As we prepare to light the Chanukah candles here in Jerusalem, we want to wish you and your family a very blessed holiday and a successful, joyful year. If you’ll be celebrating the holiday season in Israel this year, be sure to check out what’s going on in Jerusalem on our December monthly events calendar. In addition to special treats like scavenger hunts by candle-light and the Jerusalem Globus Jazz Festival, we’d love to introduce you to the recently launched Jerusalem guided photography walks, led by professional photographer and long-time Jerusalem resident, Sharon Altshul. No need to be a professional photographer yourself. Just grab your camera and good walking shoes and you'll get to focus on Jerusalem like never before. Those of you who are long-time subscribers already know that I’ve got a weakness for sufganiyot. Each time I walk past a bakery or grocery store in Jerusalem these days, the delicious sweet scent of this deep-fried Israeli Chanukah treat makes my head spin. It always makes me want to go right back home and bake a batch, which is something I’ve got scheduled for the end of this week. There’s something very heartwarming about rising dough in the kitchen at wintertime. If you’re home for the holiday and want to add a taste of Israel to your holiday meals, try our baked sufganiyot recipe for a healthier take on this uniquely Israeli Chanukah tradition. We’ve got some new neighborhood walking tours to suggest and some fun group tours that even include seeing Jerusalem by Segway. Still looking for some last minute holiday gifts? 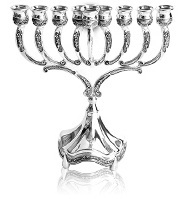 Stop by our Chanukah store for an assortment of menorahs and other holiday gifts. Of course, I think our Introduction to Jerusalem: A Guide to the Holy City is the perfect gift for anyone planning a short visit (yes, that’s a shameless plug for my own book!). It’s on sale until after the holiday, for only $1.99 – down from its usual $5.99, so it’s a great deal. Get it while the going’s good. The gift of language is a lasting one. Why not decide this is the year you’re going to learn Hebrew? Go for it! Sign up for a class before November 30, 2013, and you’ll get a free silver-plated chanukia, too. As the year winds down, it’s time for some introspection. Last year at this time we were announcing our newly revamped website. Thank you for sticking with us and helping our site become the success that it is. We look forward to bringing you more Jerusalem news and events in the coming year as well. This is a free service that we consider a privilege to provide. Jewish tradition, however, teaches that prayer and charity, together, have the power to change Divine decrees. So please consider super-charging your prayer with a donation to our charity fund for disabled children in Jerusalem. Your donation, however small, will help provide much needed services, therapy and medications for severely disabled children in Jerusalem. 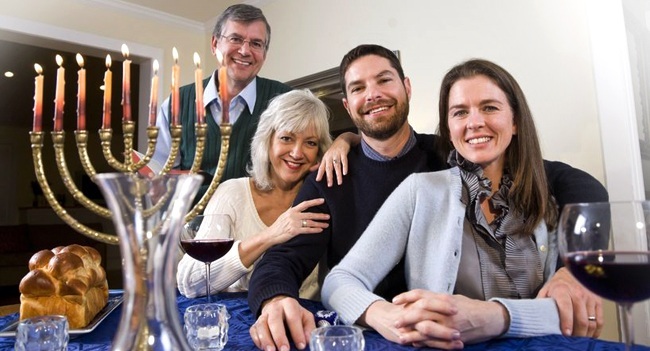 Let Hebrew light up your life and bring you close to Israel, closer to loved ones and to the Jewish people. With over ten years of successful experience, eTeacher is the world’s leading Hebrew language academy. Study from home, at times most convenient for you, learning Hebrew with highly qualified teachers from Israel. Please forward our newsletter to your friends. If you don't want to miss anything in between newsletters, please subscribe to our RSS feed – that means Really Simple Syndication, and it couldn't be simpler. Visit our blog and use the orange RSS button in the left-hand column to automatically add the feed to your feed reader. Or, copy and past this link into your feed reader: https://www.jerusalem-insiders-guide.com/Jerusalem.xml. May the lights of the holiday illuminate all the days of your coming year and bless you with warmth, good health, sustenance and safe journeys. And may we see you soon, here, in Yerushalayim!